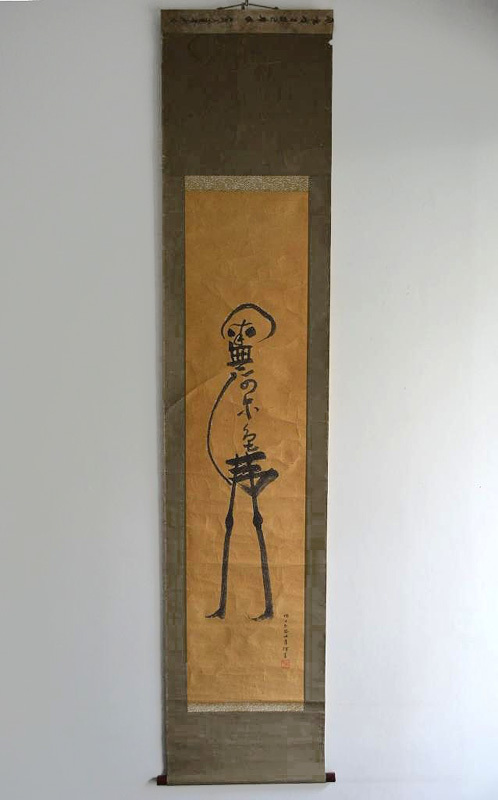 Skeleton of Namu Amida Butsu (Dealer: titcoRet) – Unique Japanese hanging scroll of a skeleton composed of calligraphy of the Chinese characters of ‘Namu Amida Butsu’ (Buddhist invocation as “Hail Amitabha Buddha”). Taisho period, early 20th century. Stuck ‘gofu’ talisman at the top part probably for its reinforcement. The condition is as is with some stains and rips as seen.